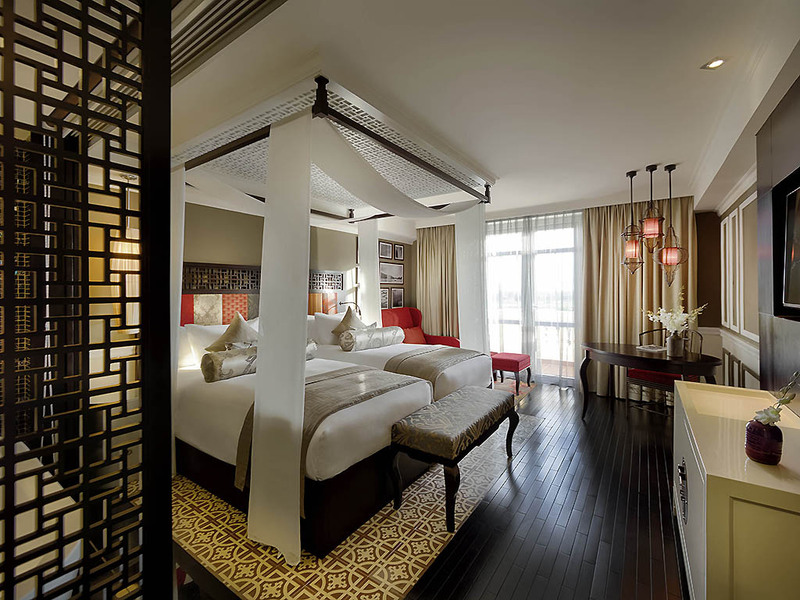 Hotel Royal Hoi An MGallery by Sofitel is a place of heritage and romance. Design inspiration comes from the story of Sotaro Araki, a famous 17th-century merchant from Nagasaki who visited coastal Vietnam during its period as a booming trade destination. On one of his visits, Sotaro fell in love with Princess Ngoc Hoa of Hue - Vietnam's former imperial capital, a little north from Hoi An. Their marriage, regarded as the first between a Vietnamese citizen and a foreigner, forever linked the two cultures. 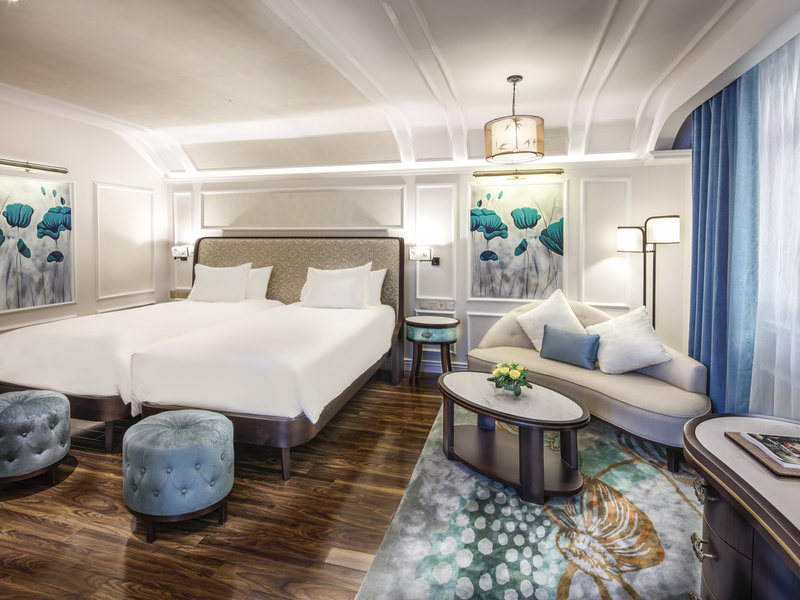 Combining the delicacy of Japanese touches and Indochine-inspired design, this 5-star hotel brings boutique luxury to the banks of the tranquil Thu Bon River, whisking travelers away to another time and place. Enter an elegant and tastefully whimsical universe. Enjoy a taste of the sans souci lifestyle around the hotel courtyard with its exquisite Art Nouveau pool. And celebrate Japanese-Vietnamese culinary ties at Hoi An's first gourmet Japanese restaurant. Hotel Royal Hoi An MGallery is 35 km (21.7 miles) from Da Nang International Airport and only 30 minutes away by taxi. From National Route 1A, get onto TL 608, head east to Hoi An, turn right on to Hung Vuong Road and make another right to get onto Nguyen Du Road. From there, proceed to Dao Duy Tu street, Hotel Royal Hoi An will be on the left just before 18 Thang 8 bridge. 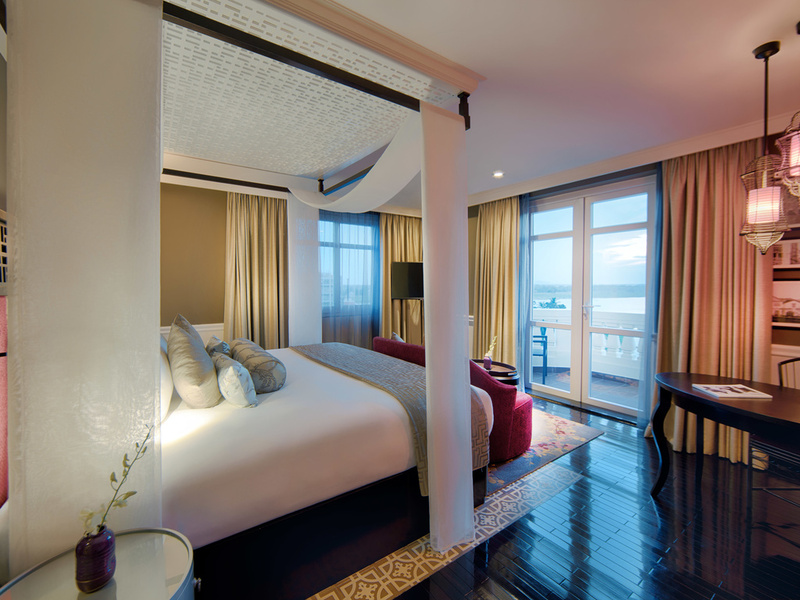 Hotel Royal Hoi An offers 187 luxurious rooms and suites. 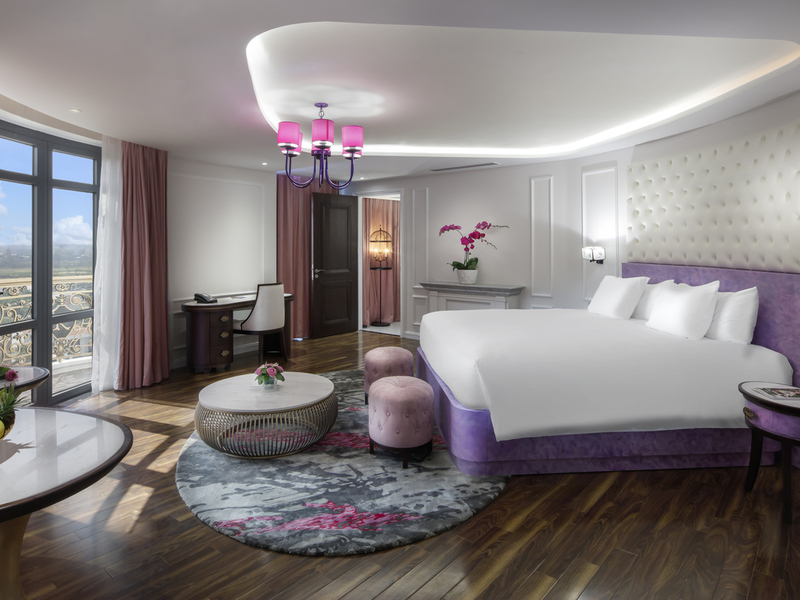 Sotaro Wing offers a harmonious blend of Japanese tradition and Indochinese luxury, that is enhanced by glamorously feminine touches in Wakaku Wing overlooking the ancient town and its river. 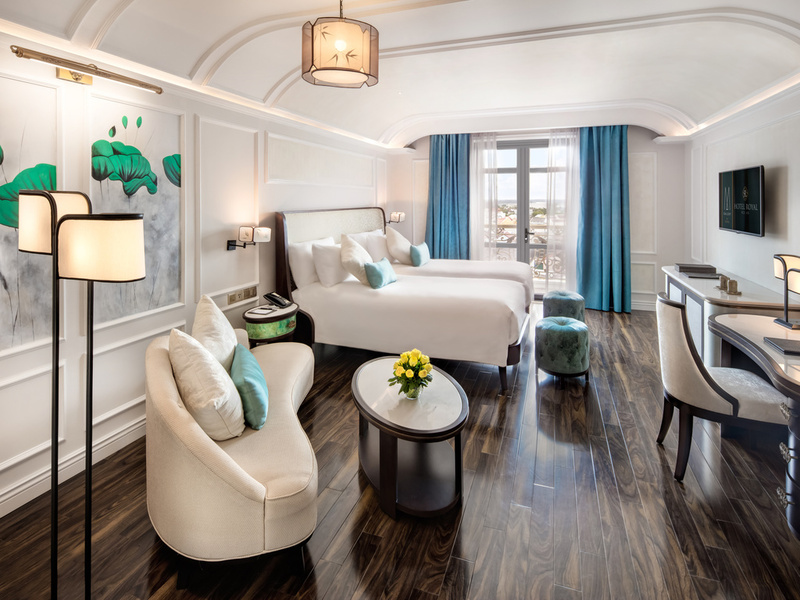 Two categories of suites - Deluxe and Presidential - offer accommodations with unrivaled comfort, space and stunning views. 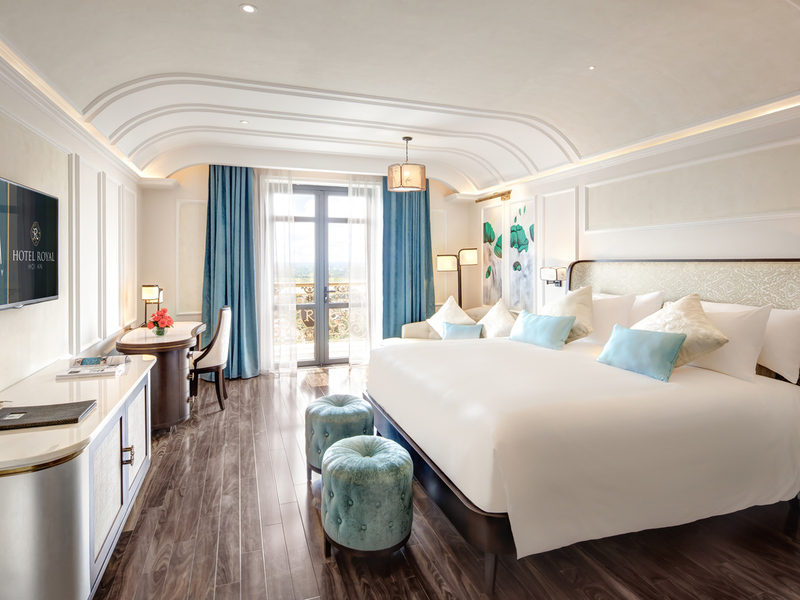 Retaining the same nostalgic, colonial feel of our rooms, appointments range from the luxurious to the distinctly opulent. The 40 m² (431 sq. ft.) room features a King bed, 42" LED TV, high-end amenities, full-sized bathtub, rain shower, love seat sofa or chairs, complimentary WIFI and great views of the Hoi An skyline. The 40 m² (431 sq. ft.) room is located either in Sotaro or Wakaku wing and offers comfort and flexibility with two single size beds, 42'' LED TV, amenities, complimentary WIFI and fully-stacked bathroom. Opening up to spectacular river view with a private balcony, this 40 m² (431 sq. ft.) room is located in Sotaro or Wakaku wing and features one King Size bed, 42'' LED TV, full-sized bathtub, rain shower, a seat sofa and complimentary WIFI. Our 40 m² (431 sq. ft.) room will please even the most discerning guests with beautiful river and pool views, a private balcony, two single size beds, fully-equipped bathroom, 42'' LED TV, love seat sofa and complimentary WIFI. The 50 m² (538 sq. 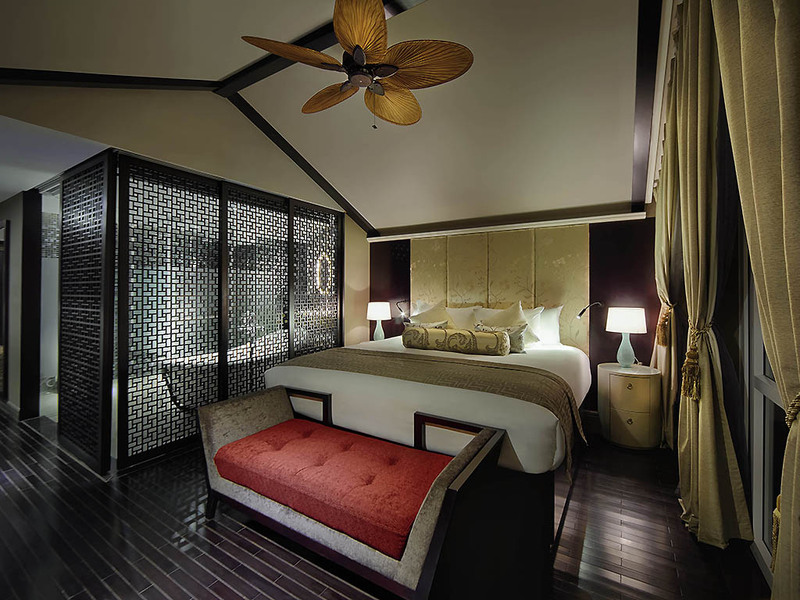 ft.) room features a King bed, 42" LED TV, full-sized bathtub, rain shower, love seat sofa, complimentary WIFI, private balcony to enjoy a corner view of the Thu Bon River and Executive Lounge benefits. The 50 m² (538 sq. 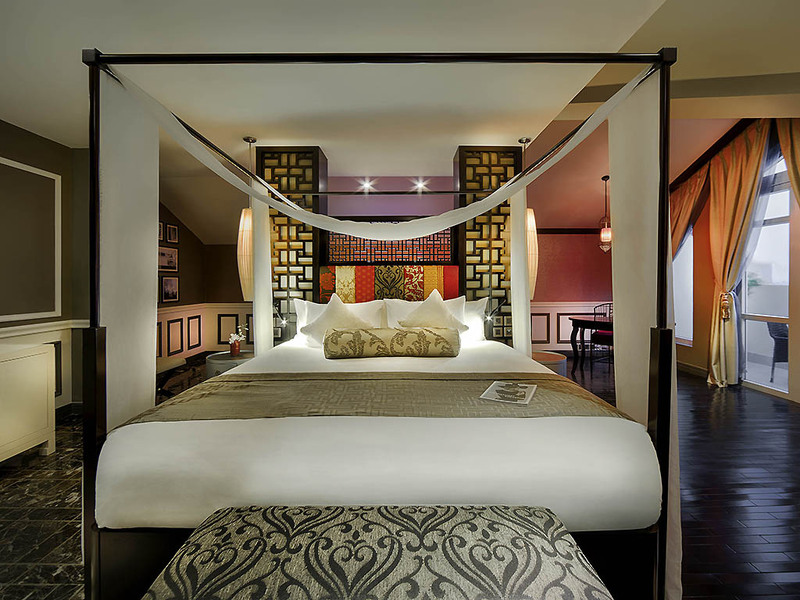 ft.) room features 2 Single beds, 40" LED TV, full-sized bathtub, rain shower, love seat sofa, complimentary WIFI, private balcony to enjoy a corner view of the Thu Bon River and Executive Lounge benefits. Located in the highest floor of Wakaku wing, the 70 m² (753 sq. 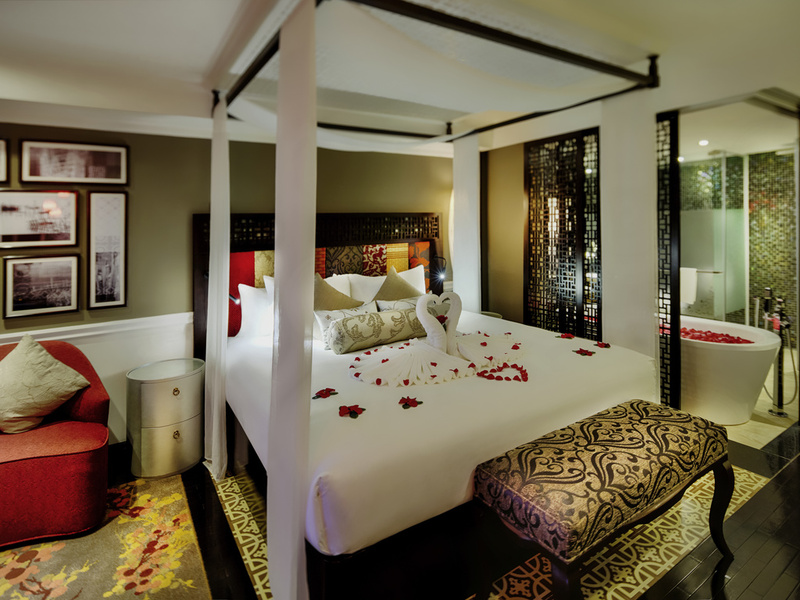 ft.) suite features 2 Single beds, 42" LED TV, full-sized bathtub, rain shower, love seat sofa, complimentary WIFI, private balcony to enjoy the views of Hoi An and Executive Lounge benefits. Located on the highest floors of Sotaro and Wakaku wing, the 110 m² (1184 sq. ft.) 2 bedroom suite features 1 King bed, 2 Single Beds, 42" LED TV, full-sized Jacuzzi bathtub, rain shower, love seat sofa, complimentary WIFI and Executive Lounge benefits. Enjoy 24-hour in-room dining, featuring international cuisine and Vietnamese specialties, freshly prepared by our talented chefs. Inspired by the romantic 16th century marriage between a Japanese merchant and a Vietnamese princess, our dining selection includes the finest Sushi and a dazzling array of royal Vietnamese and colonial European dishes. Offering an open kitchen and a sumptuous breakfast buffet station, Faifo Cafe is the perfect place for true culinary gourmets. Whether you seek international or Vietnamese cuisine, there is always something to tempt every taste at this cozy restaurant. This high-end Japanese restaurant in Hoi An, delights the most discerning gourmets with the top quality sushi and yakitori artistically prepared by our talented chefs. The highest rooftop bar and lounge in Hoi An with spectacular views of the ancient town and Thu Bon river. A dream location for memorable moments in Hoi An. Situated at our Art Nouveau-inspired swimming pool, the bar is both cozy by day and chic at night with its flowing lounge sounds. It offers elegant signature cocktails and traditional Vietnamese delights. Located on the eighth floor of Wakaku wing, The Attic is a unique outlet overlooking Hoi An and its river. This welcoming place is ideal to enjoy and socialize in a cosy ambience along with premium foods and high-end beverages. Hand in hand with your special someone, watch the sun set over the river. Royal Hoi An offers a very special honeymoon setting you will never forget. Couples who celebrate their wedding with us enjoy a complimentary two-night stay, including breakfast. Restoring vigor and unveiling delight, Woosah Spa puts together the best hands in Hoi An, state-of-the-art equipment and a tranquil atmosphere for the ultimate rejuvenation and relaxation. For your special travel needs, be it for business or an exclusive tour of Hoi An's heritage sites, a limousine and chauffeur are at your service. Please contact the Guest Relations Manager or Front Desk for more information. Where heritage and tranquility meet. Our serene pool area is a celebrated feature of the hotel. With a stunning Art Nouveau-inspired mosaic floor, pool bar and in-water sun loungers, the central courtyard contributes to the elegance of the milieu. The Royal Fitness centre features modern Technogym equipment, fitness room with great views of the river, sauna and steam room facilities.